Jojin Ajari Haha no Shu is an eleventh century diary written by an eighty-four year old woman. 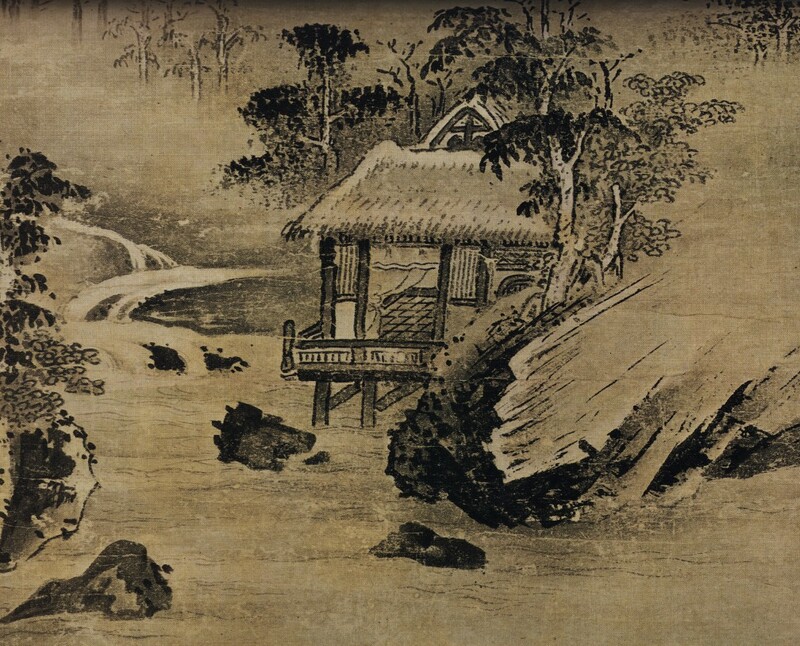 It was written for a single purpose: that of venting the author’s grievance – indeed, incrimination – against her sixty-some year old son, a highly regarded abbot, for having left Japan on a religious mission to China, an act which the author interprets as his willful abandonment of her. The writing is filled with bitter indignation, and the author seems not to care what weapon she uses to prove that her son’s behavior is unspeakably cruel. Her suffering appears to verge on the hysterical and she thrashes helplessly between the desire for imminent death and staying alive until her son’s return from China (which, in the end, never transpires: Jojin the Ajari will die abroad). One has the feeling that the author’s chief hope is that her son will read the diary upon his return and be struck with crippling remorse as a result; and that she’s only unsure whether she prefers to stay alive until that moment, so as to gather the fruit of the remorse, or to die beforehand so as to leave her son with unatonable guilt. The extenuating circumstance – that the author was widowed early and left alone to care for two infant sons – seems to extenuate but little: can her son really be expected to serve as her sole source of joy and happiness sixty years after her tragic widowhood? Does the fact that he is the sole source of joy for her place a moral responsibility on him? And what of her other son, who, apparently, not only remained in Japan, but was caring and loving and visited her frequently? Why is his solicitude not enough? If there is something good to be said about the mother, it is that she doesn’t seem to have turned her bitterness into acts of blind cruelty: she did not conspire to turn the whole family against her son, for instance, as disappointed mothers often do; but then, she’s eighty four, which probably means that her ability to manipulate others is curtailed; and the family itself is perhaps too small to orchestrate much of an ostracism of Jojin — besides herself, there’s only the other priest-son. We can’t be sure that she wouldn’t have done it, if she could. Often, virtue is a matter of insufficient opportunity. Jojin seems to have avoided his mother for some time before his departure: we hear his excuse that “meetings in this world are of little importance when compared with the true joy of long, uninterrupted meetings in eternity.” Incessant labor aimed at gaining admission to paradise for her and himself (as well as many other people) is his excuse for not proffering the usual manifestations of solicitude, but, one guesses that his mother’s solicitude for him tired and embarrassed him and that he paid such manifestations as he did reluctantly and with dread; and that if he did pray for her admission to paradise it was for her admission to a part of it well insulated from that to which he himself hoped to be admitted. Indeed, as much as it is a record of the tragedy of a mother who loves her son too much, Haha no Shu is also a record of the misery of a son who is loved too much. Much literature, perhaps most, is written to express the misery of unrequited love from the point of view of the person whose emotions are not requited. The situation is full of pathos and justly deserves compassion. But unrequited love can be a misery for the loved ones, too. After all, what have they done to deserve the solicitude, the anger and the incrimination of those who love them? Why is it so hard to walk to a MARTA station? Working Away On Something BIG!